SAGE, the world’s leading independent academic and professional publisher, today announced the purchase of three journals currently owned and published by Prufrock Press. 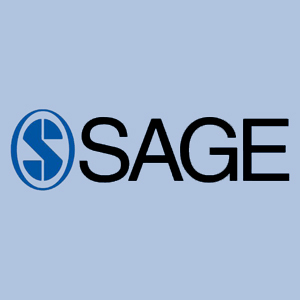 The three titles, Gifted Child Today, Journal of Advanced Academics, and Journal for the Education of the Gifted, will move to SAGE in late 2011. Gifted Child Today offers timely information about teaching and parenting gifted and talented children, and includes articles about topics such as teaching strategies in gifted education, building a more effective gifted and talented program, and working with gifted children with learning disabilities. Journal of Advanced Academics publishes articles that feature: strategies for increasing academic achievement, programs that promote high levels of academic achievement and engagement, and programs that prepare students to engage in high-level and rigorous academics. The Journal for the Education of the Gifted offers information and research on the educational and psychological needs of gifted and talented children. Committed to the analysis and communication of knowledge and research on gifted children, the journal acts as a highly respected voice for those involved with gifted and talented children. The Journal for the Education of the Gifted is the official publication of The Association for the Gifted (a division of the Council for Exceptional Children). SAGE is currently the leading publisher in the area of special education and gifted education. These journals join titles such as Gifted Child Quarterly to make up a collection of more than 40 global education and special education titles. Prufrock Press will continue its 20-year history of providing award-winning products focused on gifted education, gifted children, advanced learning, and special needs learners. The company publishes more than 300 products that enhance the lives of gifted children and the teachers and parents who support them. “The Prufrock Press journals will be right at home with those published by SAGE,” said Joel McIntosh, Prufrock Press President. “It was SAGE’s reputation for their expertise in publishing education and special education journals, as well as their relationships with the organizations behind those journals, that made them the right fit.